I've got all the ford workshop manuals. I'll zip them up for you if you want. Have everything that the mechanics have. Hi 80gus , how did you bench harness come along ? Any updates. rolls wrote: I've got all the ford workshop manuals. I'll zip them up for you if you want. Have everything that the mechanics have. 80gus wrote: So i know this forum is more for the Delco stuff but thought id share, I've started to play with the BA-BF-FG Ecu's I have made myself a bench testing unit, and have tested reading with HP Tuners. I found it hard to find the wiring diagrams/ pinouts ect, so I've made up a simple drawing to share with others that would like to bench test Write/ read these ecus. BA take about 5 mins to read/write, BF 3 mins, and FG about 2mins. 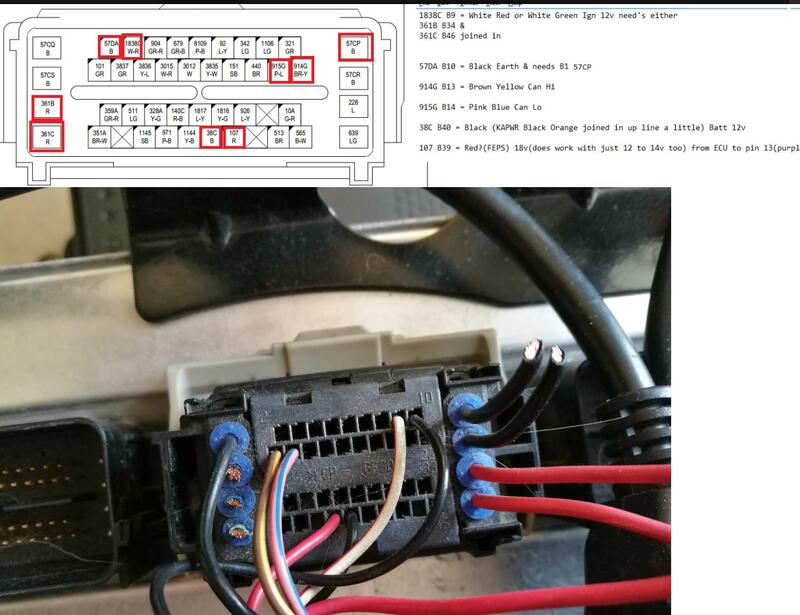 Is this diagram looking at the PCM or the pin side of the wiring harness? if you look really closely at the plugs they will habe numbers on them. Yep take a close up photo with your phone and you will see the pin numbers on the plug. Once you have it working depin all the wires you don't need and it will neaten it up a fair bit. rolls wrote: Yep take a close up photo with your phone and you will see the pin numbers on the plug. Once you have it working depin all the wires you don't need and it will neaten it up a fair bit. How are you attaching to the PCM if you don't have a plug? Alligator clips? All of the pins I've got wires to are required to read/write the device. See the photo vs the pinout, its a mirror image. You need an ignition switch as well feeding power to 38C/361B,361C,1838C as you need to toggle this when flashing.